Many people think that the USB Flash Drive is only good for storing saved documents or presentations but they are capable of so much more than that. We hope you enjoy our top 7 ‘interesting uses’ for your USB Flash Drive. Running portable apps and games: Ever been stuck somewhere with your laptop and little or no internet connection? Help is at hand. You can download hundreds apps and games direct to your USB Flash Drive and play them when you’re offline. Installing operating systems: Want to try Windows on your Mac or Linux on your PC? You can download and run different operating systems direct from your USB Flash Drive, in some cases booting directly from USB or using your favourite virtualisation software. Music storage on the go: Want to keep some free space on your MP3 player or phone? Simply download your music library onto your Flash Drive and take your music with you. Dead drop: Feeling adventurous? You can participate in the new artistic project called USB Dead Drop which is something we wrote about last month. Speed up your computer: You can speed up your computer with Windows ReadyBoost. More details here. Additional storage: Storage sizes on USB Flash Drives are getting bigger and bigger. Here at Flashbay we offer drives with capacities of up to 64GB. That’s a huge amount of storage that you can carry in your pocket or on your key chain. Marketing opportunities: Of course, you can also use the USB Flash Drive to promote your business. You cannot only brand the Flash Drive with your logo or corporate message, you can preload it with marketing material such as brochures, videos, music or presentations. 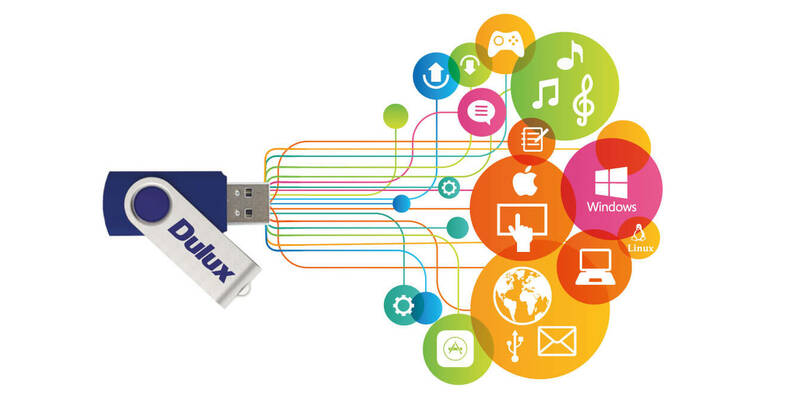 Considering branded USB Flash Drives for your next project? Simply fill out our Quick Quote form and one of our dedicated Account Managers will be in touch and you could have your custom branded Flash Drives in under 6 working days.